The May/June 2010 issue of Vegetarian Times is a winner! 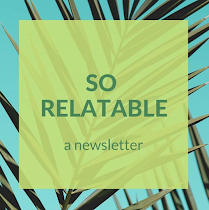 I've made three recipes from it so far, and all of them have challenged my culinary comfort zones (ooh, good post topic... I'll come back to that!). This recipe uses ingredients that are commonly found in my kitchen - sweet potatoes, lentils, ginger, garlic, curry - but it's the cooking method that makes it stand out. Baked in bowls made from aluminum foil, and crimped shut? How different! How fun! How delicious! Three notes on this recipe: I didn't have a red pepper ($$$) so I used a green one instead ($). The broth collects at the bottom of the bowl while baking, and tastes especially good poured over Basmati rice. And finally, I am sorry for the poor quality of the photos. I have a hard time getting good natural light because we eat pretty late during the week, but I really wanted to share this recipe with y'all. I'm going to try and take better photos in the future, and maybe even read the manual that came with my fake-fancy camera! Until then, enjoy this dish and have a great weekend! Preheat oven to 400°F. 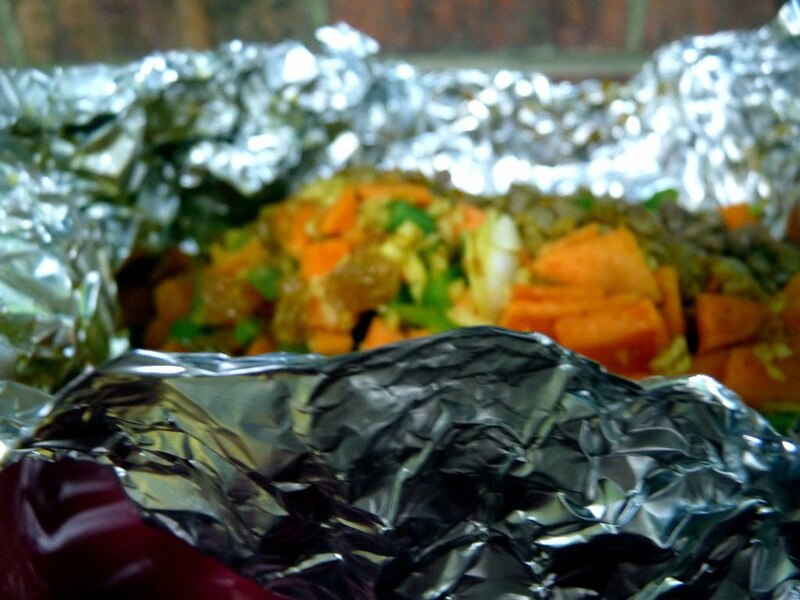 Place 4 16-inch lengths of foil on work surface. 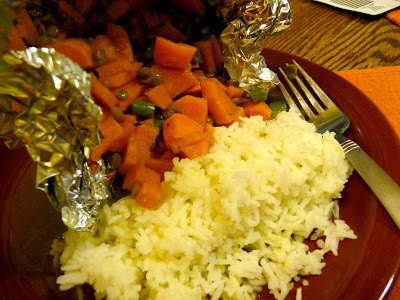 Fold foil in half from short side. Unfold. Shape corners and edges of one half into semicircular “bowl” with 1/2-inch sides. Coat insides of foil with cooking spray. Combine sweet potato, bell pepper, green beans, and raisins in medium bowl. Add oil, and toss to coat. Season with salt and pepper, if desired. Whisk together broth, ginger, garlic, and curry powder in small bowl. 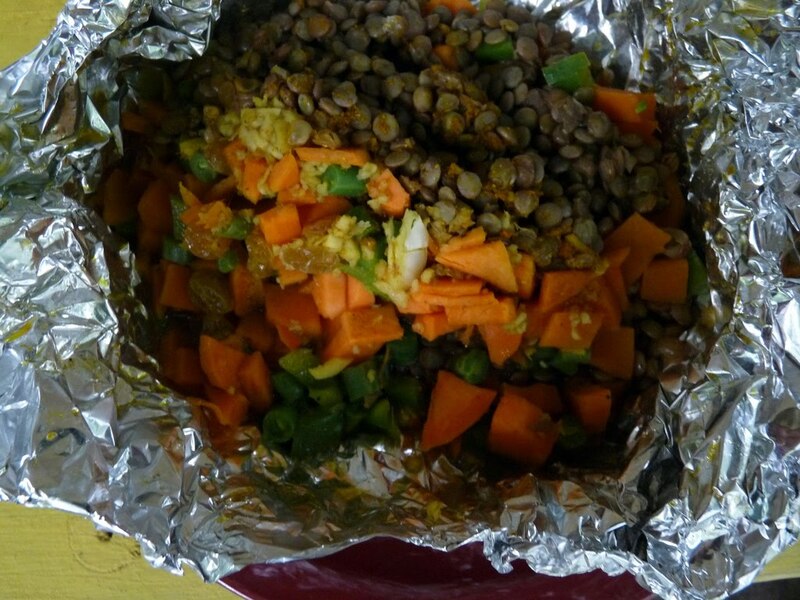 Divide sweet potato mixture among packets; top with 1/3 cup lentils. Pour 1/4 cup broth mixture over lentils, and season with salt and pepper, if desired. Fold other half of foil over ingredients, and crimp edges in overlapping folds until packets are sealed. Transfer packets to baking sheet. Bake 25 minutes. Transfer to plates. Let each person open packet carefully — escaping air will be hot. Top with chutney, if using.